Have you ever changed the radio station while cruising down the highway? Turned around to scold a misbehaving child or answered a buzzing mobile while driving? Maybe even all of the above? It’s a fact that modern drivers are bombarded with potential distractions – so you’d be forgiven for slipping up on the occasion. That being said, keeping your attention to the task at hand could mean your life. In the US, of the 65,000 road fatalities over a two year period, one in ten were crashes where the driver was distracted. Distraction can be fatal. Any activity that diverts your attention away from the road is considered a distraction. Common distractions can basically be summed up into three categories: visual, manual and cognitive. Cognitive distraction (taking your mind off driving) is still being studied, but the affects of visual and manual distraction are well documented – so let’s take a look at those now. Made you look. Arguably the most common distraction you’ll encounter while driving is visual. 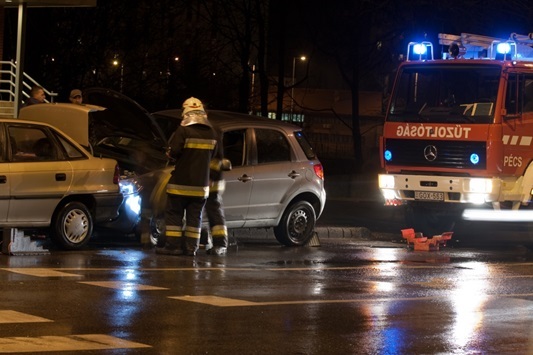 It’s simple enough to keep your hands on the wheel, but an unintended glance at a crash on the side of the road or flashy new sports car driving by is inevitable. It should come as no surprise that glance behaviour is associated with crash risk. Researchers at the University of Science and Technology, Republic of Korea, showed that older drivers tend to glance longer at in-vehicle distractions than younger drivers, thus increasing their crash risk. A way to combat this, they suggested, was to simplify in-vehicle interfaces. Today’s modern cars have data intensive instrument panels, so that’s a question for the manufacturers – but the problem of internal and external visual distraction remains for us drivers. You might not admit it to your wife, but two thirds of men over 50 admit to losing their focus while driving – with one fourth naming attractive women as the main reason. The same study found that women were much better at keeping their composure – only 1% admitted to doing a double take after seeing an attractive man. Take from that what you will. Fiddling with your phone, changing the radio station, eating and petting your dog are all manual distractions. What do they have in common? Taking your hands off the wheel. 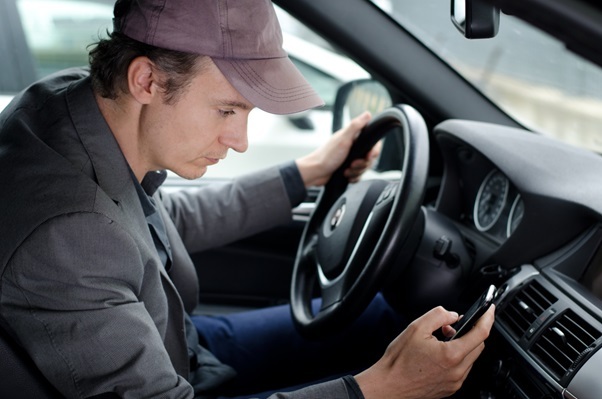 The American Automobile Association warns: when drivers engage in complex multitasking, they experience a decrease in brain function and reaction time, and an increase in crash risk. That might seem obvious to you – but had you considered all the extra distractions that cars up for sale these days are equipped with? Almost all new cars for sale in 2013 have data intensive interiors. Compared with the simple dashboards of old cars, our modern vehicles are equipped with radio, air conditioner, visual manual technology and too many buttons to count. Our brains are just not wired to process this level of information AND drive – so keep that in mind when deciding whether or not you need to change that radio station. Do you think in-vehicle technology should be simplified or are you all for extra gadgets? Read more of our blog for the latest car news.